By Aiza Coronado on 07/19/17 • Leave a comment! First on our list is this Sony HTCT390 Ultra-Slim Sound Bar. 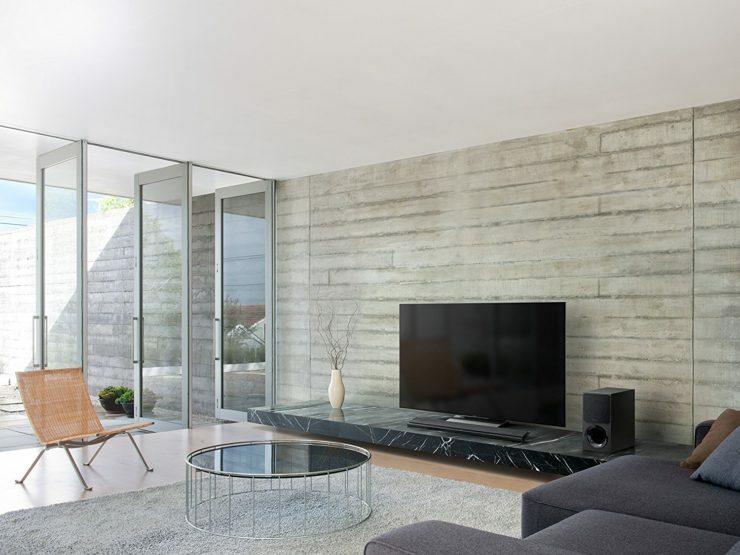 The space-saving and wall-mountable entertainment unit lets you connect and stream audio easily via Bluetooth and NFC. Your music and sports shows will be best enjoyed with this. 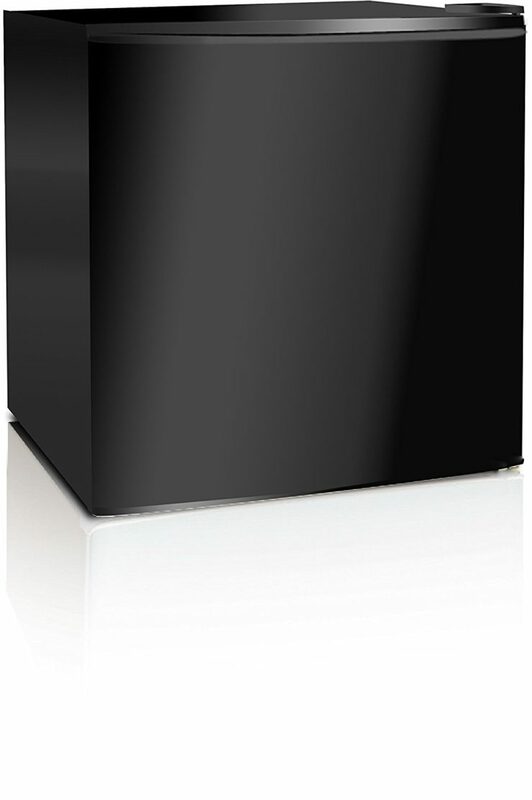 Next is the Midea Compact Single Reversible Door Refrigerator for your bedroom. You’ll need it to cool those beer cans or a bottle of wine for night caps on your pad, wouldn’t you? It’s energy-efficient and operates quietly. 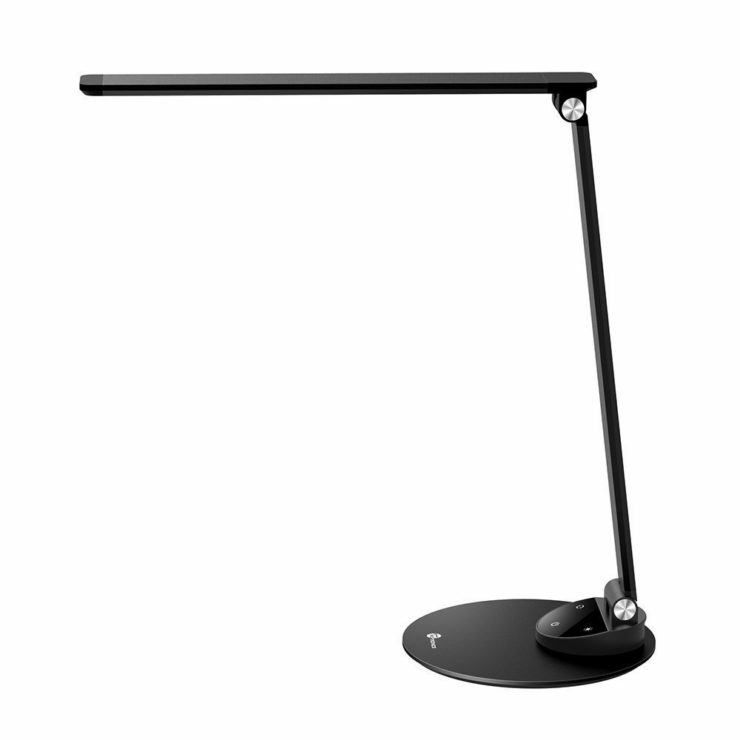 Lastly, we have the TaoTronics LED Desk Lamp for some late night work or your usual bedtime reading. Unlike other lamps, this one comes with eye-care technology. The lights are dimmable with 5 levels of brightness and 25 light modes. Take care of those beautiful eyes. By Aiza Coronado on 01/27/17 • Leave a comment! Don’t you hate it when your headphone wires tangle? It takes a while to untangle them and get going. There’s a great solution for this: those true wireless Bluetooth Earbuds. Yup, you’ve heard it right. Some earphones like the Samsung Gear IconX monitors your fitness stats and your heart rate as well. The Jabra Elite Sport can do the same as well. You can get them if you’re fond of exercising with your earphones on. Their batteries are more than enough to play your entire workout playlist. If your current noise-cancelling headphones is what’s stopping you from switching, you can just get the Doppler Labs Earbuds. They offer some serious noise-cancelling power. If you’re in a cafe and you need to get stuff done, this one’s the way to go as they also interact with Siri and other voice assistant platforms. If you’re a commuter, you need earbuds like the Dash by Bragi. That’s because they have audio transaparency feature, which lets you hear what’s going on in the background while you listen to music. You are made aware of the car’s honks. The Dash is also waterproof up to 1 meter so a little rain won’t cause damage. Are you now ready to give wireless in-ear headphones a try? We’ve got a lot more on our list! By Aiza Coronado on 11/30/16 • Leave a comment! 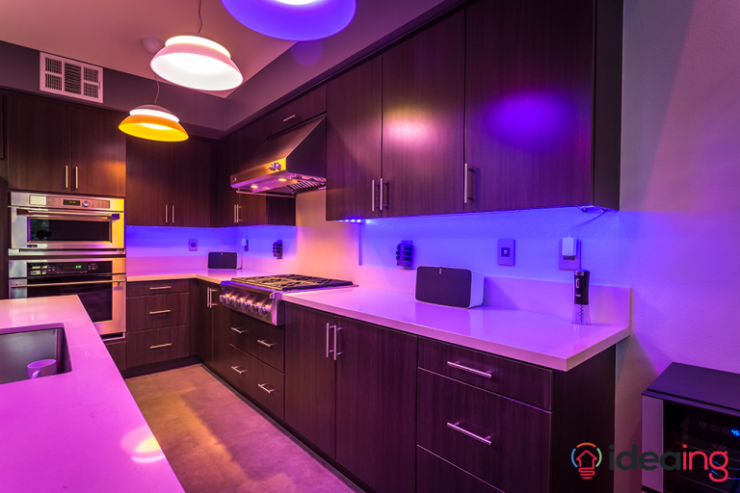 Philips Hue Lights have been smart home favorites because they’re easy-to-use and they make your home beautiful in a click of a switch (or at the command of your voice)! The lightstrips are the variety which is the most interesting because you can play with light in ways that you can never do with the good old bulbs. We’ve rounded up a few reasons why you’ll want to have the Philips Lightstrips as your home decor from now on. They give your home an instant (sometimes, unconventional) makeover. A little light here and there and your home will look like a set from a sci-fi movie or, if done elegantly, a cozy space from a posh hotel. A neon blue light outline underneath your bed. Color wash on your walls. Lit-up stairs for home parties. The magnitude of a lightstrip’s effect is huge, yet the effort that it takes in installing one is nothing to worry about. It also doesn’t matter what your current decor or home style is. The lightstrips is capable of projecting over 16 million colors and a thousand shades of white. First, the lights are LEDs. We all know how efficient and long-lasting they are. They consume little power and can last for as long as 50,000 hours or 5.7 years. That is, if you left them on for the whole 24 hours. They can even last longer if you use them for a few hours per day. When it comes to cleaning, all you need is just a cloth to get the dust off. Compare cleaning the lightstrips to a chandelier or an intricate piece of furniture. You get the picture, right? The Philip Lighstrips ain’t just pretty to look at. They can be smart too. Switch them on remotely before you get home or ask Siri to set them to a party mood. You can even make them pulse with the beat. Or create an IFTTT recipe to flash your football team’s colors everytime they score. There you have it. For convenience and effortless style, it’s wise go for the Philips Lightstrips. 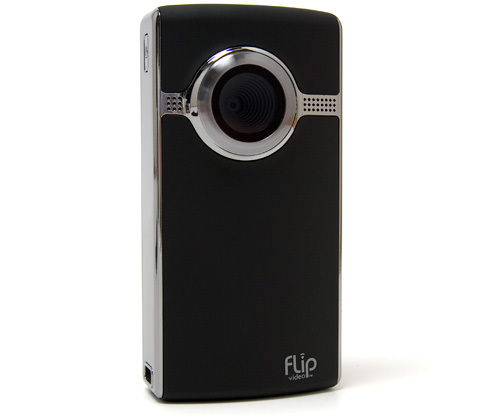 We also got more ideas on how to use it at your own home. Yup, it’s annoying and distracting. Even though pockets are great, they’re not so great when you’re engaging in athletic activities. But now you can eliminate that problem with the new Kickstarter campaign, PocketBands, a wristband with a hidden pocket. 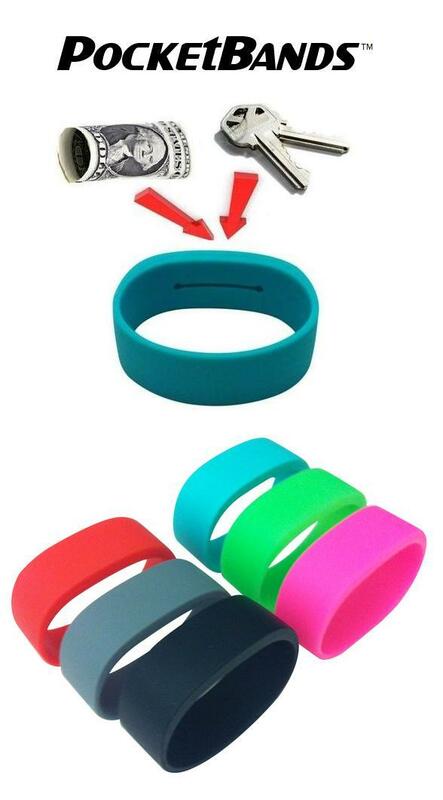 The bands are great for when you’re running, surfing, biking, skating, swimming and other sports or activities you do where you don’t want to hold things in your pockets; simply stash away a key or some cash in the hidden compartment that each band features. But besides being functional, they’re also comfortable and pretty stylish, available in a variety of colors and patterns. They’re made using a stretchy, surgical-grade silicone, which makes them durable, water-proof, and pretty comfy to wear. You can get them in four different sizes (small to extra large) and in a bundle of 3 if you pledge $20 toward the campaign. By Hazel Chua on 08/01/12 • Leave a comment! Zombies have been around for ages. They’re the subject of Robert Kirkman’s highly popular The Walking Dead series and have tons of games featuring their undead likeness, like Popcap’s Plants vs. Zombies. Of course, they don’t actually exist, but that doesn’t make them any less creepier. Like this Zombie Head Gumball Machine, for instance. 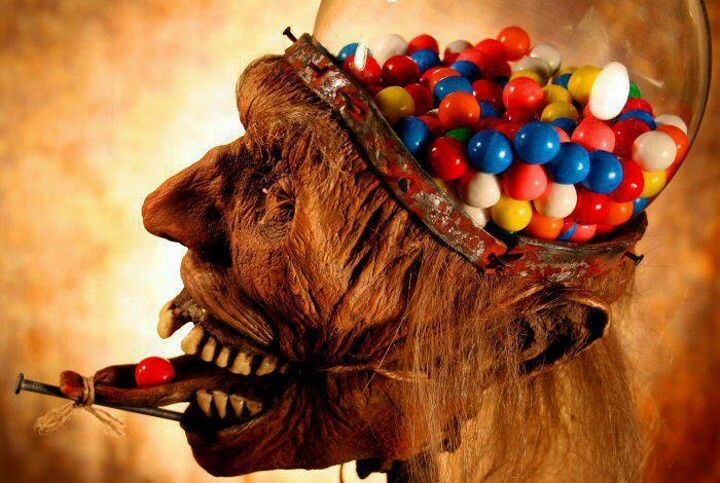 Thankfully it doesn’t serve up brains but gumballs instead, which rolls out onto its tongue that’s tied to a nail that happens to be hammered into its chin. Pretty gory for something that serves up gumballs. It’s not made from an actual human head, but it’s a sculpture by Thomas Kuebler. Imagine how creepy it would be if it served up brain-shaped candy and blood-red candy fashioned after body parts instead of gumballs. Gory! If you spend most of your workday at a computer like I do, then you’ll want to make sure you’re as comfortable as possible. A comfortable chair, a nice big monitor to look at and a good keyboard/mouse set are probably the most important. Today, Logitech announced their new Wireless Desktop MK700 keyboard and mouse, which are aimed at being both comfortable and convenient to use. The new MK700 keyboard features a new type of key that they’re calling “Incurve keys.” These concave keys are supposed to keep your fingers in the right place and have softly curved edges to be more comfortable when moving from key to key. 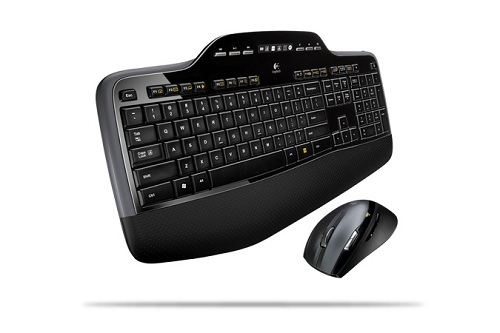 Other features like a cushioned palm rest and longer key travel should make things more comfortable in general. So what makes this set so “convenient” you say? Well you’ve got things like an LCD dashboard that lets you know things like the status of Caps Lock, Num Lock and your battery life. They’re also using 2.4GHz wireless technology to ensure a strong connection (up to 30 feet away), because no one likes pressing a key and having nothing happen. The real kicker is the battery life. You can expect the batteries in your mouse to last for up to a year, while the keyboard can go up to 3 years without needing changed. Oh, and that’s on 2 AA batteries each. I hate changing out batteries, and measuring the time between changing them in years instead of months should be enough of a selling point for some people. Look for the MK700 bundle later this month for around $100. It seems like everyone and their brother has designed a clock of some sort. I can’t go more than a couple of days without seeing a new one popping up somewhere, so I usually try to limit my coverage to the cool and unusual. The Black & White Clock is definitely both. 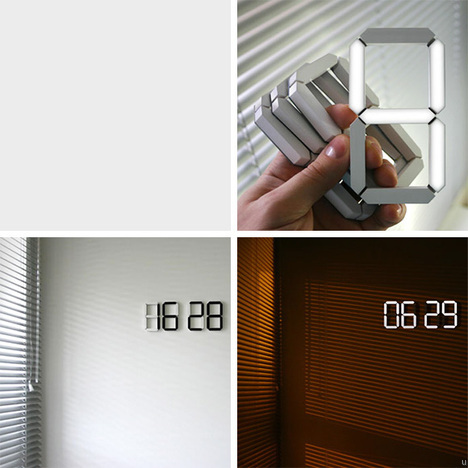 The clock consists of four separate OLED digits, which are individually powered and controlled. You then attach them to a wall, and they will display the time. They include a light sensor, so that the normally black digits can light up when the room is dark. It really looks like a cool concept, and the designer is currently looking for a manufacturer, so hopefully we’ll see this one on the market someday. NASA’s new Pratt & Whitney Rocketdyne Common Extensible Cryogenic Engine (CECE) runs on hydrogen and oxygen. The H and O combine, igniting into 5,000 degree steam and releasing a whole heap of energy in the process. So how in the heck does the engine form icicles while it’s running? Well, the hydrogen and oxygen are stored as liquids, and to stay liquid, they have to be very, very cold: the hydrogen measures a rather nippy -423 degrees F. As the hydrogen circulates around the engine, it cools everything way, way down, and when the super hot steam exits the super cold engine, it condenses into water at the edges and then freezes into icicles. The CECE is called “deep throttling,” which means that the thrust can be adjusted from 8% all the way up to 104% of its maximum rated output of 13,800 pounds of thrust. It’s designed to take people back to the moon, along with all of the crap they’re gonna need to make themselves at home there for a while.